Digging out the hidden codes and teaching of Kabbalah. 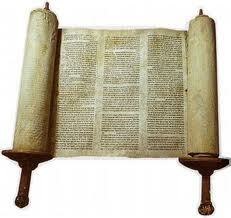 The Torah; Beyond the Beginning. Where to begin? “In the beginning G-d created….” The Torah tells us what to do in its very first word: Bereshit (“In the beginning” ). But the Torah is far from a narrative and the word Bereshit is far more than the beginning of a story. It’s a commandment. It’s a commandment for us to look deeper, to look to the source, to seek out the beginning, and in so doing to come closer to the Creator. In this blog and our articles, we’ve often selected key words, phrases, or portions of the Torah and dug deep, uprooting profound meanings that help open up the big picture, but this time we are going beyond. We’re going to unravel the Torah and all its 304,805 letters, 79,975 words, 5845 verses, etc etc and go back to its latent state, when ALL existed in potential and nothing was limited by physicality. We are going to pull back some of the veils to the endless. We’ve been silent for quite some time now, but permission has finally been granted. It’s time. In it’s physical state the Torah is a document written on 80 sheets of parchment and about 80,000 words long, which makes sense since spiritually, according to the Arizal, the Torah is Yesod of Abba and the numerical value of “Yesod” (the sefira/dimension) that channels forth the shefa (life-force energy) is 80 and Abba is the highest level, but this is just a side note. This “document” is comprised of black letters and white space, referred to by the Zohar as black fire and white fire, neither more or less significant than the other. Without one we could not see or fathom the other. There are strict laws in recreating a Torah that a scribe must follow meticulously or the Torah isn’t kosher, in other words completely invalid. For example, each of the 304,805 letters, comprised of exactly (600,000-408) component letters must be formed fully and perfectly and in the precise order; one deviation and the entire document is nullified. He does, though, have a little leeway in how many letters, grouped into specific words, verses, and paragraphs to place on each line, put just so long as each of the columns begin at specific places. This means he can stretch certain letters within guidelines and also stretch the space between some of the letters again within guidelines. Nevertheless, in the end there will be 42 rows of spaces and letters, let’s call them collectively “character spaces” in each column, and either 245 or 248 columns per page, as there are always two points of view in Judaism. The standard is 248 columns, corresponding most fittingly numerically to “womb” and “mercy” and “Abraham,” considering that the sum of the Names of the 5 Books in the Torah is 2480. But enough gematria, we’ll explore the significance of 245 columns, and also 246 columns, after we tackle the matrix formed by the 248 columns by 42 rows. There is nothing left to chance in the Torah, also known as The 5 Books of Moses, everything has a special “harmonic” alignment and thus purpose. The total number of 304,805 letters, 79,975 words and 5845 verses collectively equals 390,625 or 58. That would appear to be more than an accident, right? Exactly 5 raised to the power of 8. Try just calculating that in your head, 5 x 5, now 5 again, now 5 again, again and again 8 times, let alone keeping track of all those letters, words, and verses. But what if all the letters and the empty “white fire” spaces, in other words, the character spaces in that same 248 x 42 matrix also totaled 390,625 or 58? Because they do, more or less. It’s because of that leeway that today’s scribes have in stretching the letters and spaces that the matrix created even before the Torah was laid out, in other words before Creation, might not necessary come out to exactly 58, but if properly written it will be close. This by itself should be astonishing, but there is a deeper reason behind it, one primordial to life and the structure of the universe itself. And that’s what we’re seeking out. But before we get to that, we need to help ally the skeptics fears about there really being a G-d (or as some put it, a G-d-like force in the universe) and show how the numbers add up. First of all, let’s note that this 248 by 42 matrix works out to 10416 rows, with 20 (4 between each book and 1 before and after each of the two songs) being necessarily empty, leaving us with 10396 rows that contain at least some letters. So when we divide the 304,805 letters amongst the 10396 rows it works out to 29.32 letter/row on average, which corresponds with the Shulchan Aruch that states that a length of line should be three times the word “למשפחותיכם” or 30 letters more or less (Shulchan Aruch, Yoreh Deah 272:2). But that’s just the letters and it’s the easy part. Next, we know that there are 79975 words in the Torah, and 79975 words divided by 10396 lines gives us 7.693 (7.7) words per line, which means that there are at least 6.7 spaces between the words on average per line. And thus without any further computation we know that there are 36.0123 character-spaces directly attributable to the letters and words. A nice round number (36) but not the complete picture, which would necessarily be 37.50 character-spaces per line if indeed there are 58 character-spaces in the Torah. One of the essential elements of Torah study followed by the sages for ages has been the use of the initials of words in a specific Torah phrase, and coincidentally or not, the initial numerals in the 304,805 letters, 79,975 words and 5845 verses which collectively equal 390,625 or 58 are 3, 7, and 5, as in 37.5 character-spaces per line. Now, there are 670 paragraphs in the Torah and there has to be a minimum of 9 spaces between them and a maximum of about 35 and here is where the scribes have lots of leeway. On average, and somewhat arbitrarily, there’s between 17 and 20 spaces allotted to the paragraph separation . Using 17 for the 670 paragraphs, we have 11,390 additional character spaces. Then there are the 20 empty rows at 37.5 character spaces each and you could argue that that is arbitrary, but we already know that it is at least, and also close to, 37.11, so it’s not so farfetched. Anyhow, this gives us 20 rows x 37.5 spaces, or an additional 750 character spaces. Then if we add the approximately 28 by 24 extra spaces in the Song of the Sea and the 70 lines by 9 extra spaces in portion Ha’Azinu, we have another 672 and 630 spaces respectively, bringing the total to within about 2000 or so spaces of the total 390,625, easily compensated for by the allowed stretched spacing and stretched writing found in most Torahs. We could easily make it work out exact, but if it were meant to be, as the sum of the letters, verses and words are, it would have been. We are dealing with the intangible spiritual state and are meant to enter this cloud-like state as Moses did, focused by our certainty and not by a well-lit path. The 2000 or so spaces can go either way, and thus on average will go right down the middle, directly toward 390,625, which when broken down by gematria spells out “The Crown (625, H’Keter) of Heaven (390, Shama’im). Thus focused and ascending, let’s continued beyond, where we recall the words of Rabbi Chaim Vital of blessed memory that all Torah light is spread by squaring, and thus we can now see how this matrix of white and black fire was unfolded into Creation. Working backwards, we can take the square root of 390,625, which is 625, then do it again (25) and again (5) and one more time (√5) for a total of 4 times, corresponding to the 4 Letter/levels/phases of the Tetragrammaton (YHVH). It’s not called the 5 Books of Moses for nothing. This square root of 5 is no arbitrary number, not by a long shot. Yes, on the surface it’s just some endless irrational number 2.2360… but so is Pi. Nevertheless, √5 appears to have been chosen to define the primordial existence that gave birth to Creation and thus physicality in the formation of the Torah matrix. A bold statement for sure, but the mathematicians are already smiling because they already know what’s coming next. It turns out our physicality is indeed defined by the square root of 5. 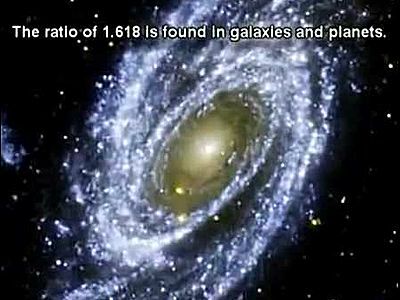 For you see the (√5) is at the heart of the primordial mathematical constant Phi, which controls (dictates) all natural spiraling growth in nature from the petals on the flowers, the branches on the trees, the twisting of seashells, our DNA, and arms of the Milky Way. we have the reason why the square root of 5 creates natural growth. So, G-d took this sacred space or dimension and unfolded it 4 times before shaping it into a matrix of 248 by 42 in a proportion of about 6 columns to every row, the same proportion (59%) of verses in the Torah that begin with the letter Vav of numerical value 6. 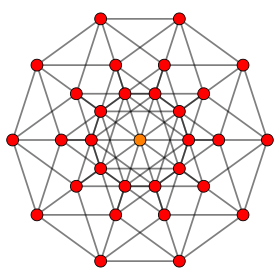 Which leads us to the filling of that matrix, going from a potential state to a physical one, the point of Creation. After the matrix was filled with swirling white and black fire in very specific quantities, both of which as we’ve seen tie back to the square root of 5, the black fire was arranged according to G-d’s Name, YHVH. As you can imagine, the shape the black fire took was significant in every detail. Even without the help of the scribes the 22 Hebrew letters vary in size with 2 of them Yud and Vav occupying a single width, 4 of them occupying 2 widths and 16 of them occupying 3 widths, thus once again giving us a unfolding squaring pattern, 2, 4, 16. For some reason, the fire of the 304,805 letter characters was split into exactly 300,000 of the 26 assorted letters (including the 5 final variations) and 4805 of the letter Pe, or Phe (possibly representing Phi in both its spiraling shape and sound). Then of those 300,000 letters, 90,100 letters, or 30% of them, were the letters Yud, He, and Vav, the building blocks of the Tetragrammaton, the YHVH, with the value 90,100 being equivalent to the sum of the integers through the number 424, the numerical value of “Mashiach Ben David.” (The Messiah). These 3 letters were arranged in specific patterns throughout the Torah matrix forming along the way 1820, or 20 x 91 Tetragrammatons (YHVH). Now those 1820 YHVH are comprised of 7280 letters, reminiscent of the 7 words and 28 letters of the Torah’s first verse, whose inextricable ties to the 42-Letter Name of G-d and the mathematical constant Pi are pervasive. We only bring this up to point out a persistent pattern in the way the black fire unfolded within the 248 x 42 matrix. As we said, the first verse of the Torah has 7 words, and the sum of the integers from 1 to 7 is 28, as in the 28 letters of that verse. Then we have the total numerical value of that verse being 2701, which is likewise the sum of the integers from 1 to 73, the numerical value of Chochma (Wisdom). And then there is the total numerical value of the first 8 words (33 letters) of the Torah, which is 3003, and which happens to be the sum of the integers from 1 to 77, the numerical value of mazal (divine fortune). These are the 42 Letters of the Upper 42-Letter Name of G-d, from which all divine sustenance flows down to us. This is the date prophesied by the Tzaddikim for the coming of Moshiach consciousness and the Tree-of-life reality. Now, if Torah space is more than space, how much more would the primordial unfolded space-time occupied by the square root of 5 be? You can read all about these prophecies by Rav Yehuda Halevi Ashlag, etc on our blog and in The Divine Calendar and Nothing is Random in the Universe so I’d like to get back to the brand new revelations and the structural essence of the Torah, but we would like to point out that the matrix is a reflection of sorts of the Tree-of-life, of which there are 32 Paths, which we’ve pointed out in other articles corresponds to the 32 times the Name Elohim is mentioned in Creation and to the 5-dimensional hypercube with its 32 vertices and 80 edges and 80 faces. And one such result of this reflection is found by taking the matrix itself, 248 x 42, or 10416 lines (rows), and taking its square root again and again, 6 times, until it equals (1.155517…) 32 A meaningless number, whose only significance (to our limited understanding) is that when we multiply it by 50, as in the 50-year Biblical jubilee period that the Torah commands us to to count, we get 57.77588…, yet another representation of the period 5777/5778 HC and of the use of the Jubilee year. Whether it’s 115.552 jubilee years from Creation to 5778 or 66.6 of them from the reception of the Torah at Sinai in 2448 to 5778, it must all have been designed from even before the black fire was allowed to mix with the white. None of this is surprising of course, because Phi18 also equals precisely 5778.000 and against all astronomical odds, the only 4-digit numerical strings found to repeat 3 times within the first 1000 digits of Pi, are 5778 and its CE equivalent, 2019, back to back years, a demarcation in time. 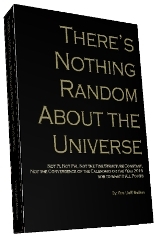 But you can read about that in Nothing is Random in the Universe and today, we’re concerned mainly about the unfolding of the Torah, not space-time. Interestingly, when we take the square root of 10416 and take it again (the 4th root) we get 10.1024 and while 10 universally represents the 10 dimensions of the Tree-of-life and of modern physics, 1024 is precisely equivalent to 322 . Moreover, there just so happens to be exactly 1024 different numerical values represented within the 80,000 words of the Torah. 1820 + 7280 = 9100. Nevertheless, and even as the importance of this is lost on us, there is a deeper significance that we can note. Since there are 304805 letters (black fire) within the 390625 character-spaces, there are necessarily 85820 white fire spaces within the matrix, just about 22% of the Torah spaces. While the connection to the 22 Letters of the Hebrew alphabet, or as Abraham described them, the 22 building blocks, is obvious, the juxtaposition to the 82820 Yuds, Hes, and Vavs that do not comprise the 7280 YHVH is less so. Subtracting 82820 from 85820 gives us and even 3000. And what we can take away from this is that possibly all but 3000 of the “empty” spaces correspond to either Yuds, Hes, or Vavs and thus carry the Name of G-d within them, an energy that bonds the letters into words and verses; after all, because of this special design that’s incorporated into the Torah, those 85820 “empty” character spaces correspond precisely with the 85820 words and verses in the Torah. Speaking of the 5845 verses, the small gematria numerical value for “the Sun (H’Chamah)” is 5845, which is all the more interesting considering that there are on average 29.3 letters per line of Torah and the days of the lunar cycle are 29.5. Not a perfect match, but if you recall at the outset of their article we mentioned that it is accepted practice to write the Torah with 245 columns as well as the standard and as we’ve seen oh so special 248. 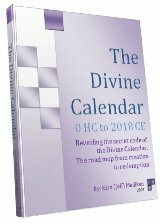 If the Torah matrix were to have 245 columns everything would be crammed into a slightly smaller space, resulting in 7.78 words/line and 29.68 letters/line, but if it were 246 columns, there would be 29.50 letters/line, meaning each line would be representative of the monthly lunar cycle. This leeway provides room for us to think and ponder. It gives us room to explore and find our own way. If G-d gave us a giant clock, Man would probably have broken it by now. 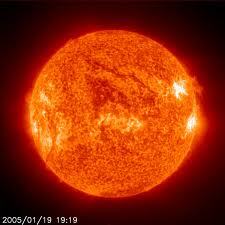 By the way, in case you are new to our blog, the surface temperature of the Sun is 5778 K and the average surface temperature of the Earth will reach 57.78 F within the next 6 years. One big clock. According to the Zohar, in the time of the geula, final redemption and of the advent of Moshiach consciousness, the Sun and the Moon will be equal. 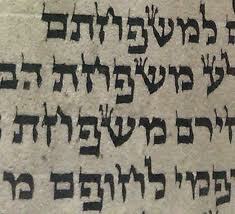 The Torah matrix provides a structure for this to occur; it’s up to us to find it. But recall, the Sun, represents Zeir Anpin, (a sharing/channeling force) and the Moon, Malchut (a purely receptive vessel), possibly meaning that in the so-called end-of-days, the receptors will be able to share with the givers and a new balance will be in order. There should be no doubt that Phi is an integral part of the structure of the Torah matrix or that we weren’t meant to eventually wake up and realize it. By the way, if we add the 670 paragraphs and the 80 pieces of parchment to the 248 columns, 10396 rows and 390625 elements we get 402019 and the only 5-digit string to repeat in those first 1000 digits of pi is 42019. Everything has a purpose in the Torah. We’ve breached the boundary of the upper worlds, and thus endless wisdom is available to us, but we’re right at the entrance and must be careful not to drag our negative shells (klippot) and personal agendas along with us. Walking up is only the first step. It’s what we do from then on that matters. There’s a lot of math here and the concepts underlying it are very profound so we will take our time in subsequent articles exploring them and bring them into our lives in a more concrete way. Author Jeffrey MeilikenPosted on March 2, 2012 March 2, 2012 Categories RevelationsTags 2019, 42, 42-letter name, 424, 5778, 5778k, 5845, Bereshit, Bible, Genesis, letters, Matrix, moon, Moshaich ben David, Phi, PI, Sun, temperature, Tetragrammaton, Torah, verses, words, YHVH13 Comments on The Torah; Beyond the Beginning. Subscribe to receive blog updates to your email.